Hayley is a registered psychologist (AHPRA) and member of the APS. She completed a Bachelor of Arts and Postgraduate Diploma in Psychology at Monash University before going on to complete a Masters of Counselling Psychology. She is dedicated to building human connection; helping people create healthy relationships and well-being in all aspects of life. Beginning in corporate and private enterprise, Hayley has extensive experience working with organisational and workplace issues, through corporate coaching and employee assistance programs. Since leaving the ‘corporate life’ Hayley has been driven by a desire to have a positive impact on the lives of others, contributing her business knowledge, practical approaches to well-being and love of education within the wider community. She is passionate about the empowerment of couples and individuals to overcome personal obstacles to improve their relationships using clinically tested and evidenced-based interventions. Whilst Hayley is trained in a variety of psychological therapies from cognitive behavioural therapy (CBT), Emotion-focused therapy, Schema therapy and coaching models, and trauma-model therapy, Hayley primarily practices interpersonal psychotherapy with adult clients. She works closely with individual and couples over the medium to long term to develop a deeper understanding of unconscious motivations, and the ways in which these inform our personal experiences. 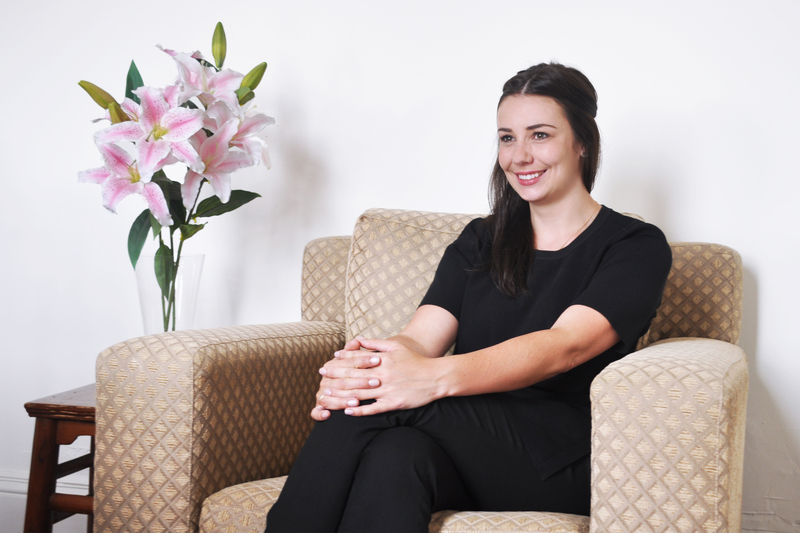 Although Hayley works very generally, she is particularly interested in working with clients who are motivated to develop a deeper understanding of themselves and their experiences, thus meeting regularly, on a medium to long term basis. Hayley primarily works with individuals who wish to address matters relating to interpersonal relationships, helping them to better understand, manage, and overcome underlying difficulties that often present as mood, anxiety, esteem related issues, relationship problems, grief, trauma and loss, as well as maladjustment and life transition difficulties (such as separation, divorce, pre and post-natal issues, retirement). Hayley also has a particular interest in fertility and the relational issues that often accompany infertility or difficulty in conceiving. Her other area of expertise is in working with women experiencing stress, anxiety related to conception, pregnancy, and parenting.